This blog is reposted courtesy of our friends at Confianza. Sarah Said is the English Learning/Bilingual Director of two suburban school districts in the Chicagoland area in Illinois, shares some practical tips and reminders for working with culturally and linguistically diverse families. You can follow Sarah on Twitter at @MrsSaid17. We know we all look forward to our spring Multicultural festival where our students come in with trays of their family’s tamales, samosas, and a variety of delicacies that we typically do not make ourselves at home. We have our multicultural cutouts from the teacher’s store decorating the walls of our gym, along with tables of trifold boards with our smiling students and their parents displaying artifacts from their home country. It’s great! But in a good amount of schools across America, it can be the only time that you really see parents of English Learners involved in the school community. As wonderful as cultural share nights are for families of English Learners, families need more. 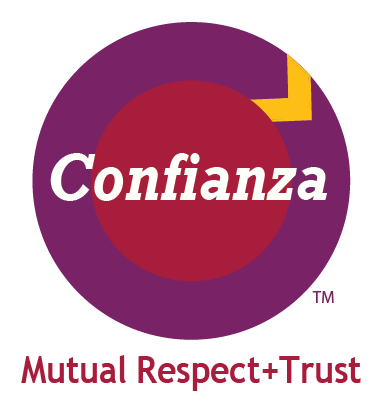 A key part of family engagement for families of English language learners is the concept of confianza, a term for building mutually respectful relationships that incorporate families’ “funds of knowledge” (Gonzalez, Moll, & Amanti, 2005; Moll, 1992). Families need to have consistency in the types of programs we provide them. The relationship needs to be one where families are working with educators as a team. There is a respect for families where families and school staff trust each other. Families also crave information about better the academics of their children. This is why they are involved from the beginning, they see school staff as a resource for the success of their children. By law, schools in Illinois who have a TBE (Transitional Bilingual Education) program with 20 or more students are required to have Bilingual Parent Advisory Councils, known to many as a (BPAC). Districts are required to hold four meetings a year. As a Director of English Learning, I spent one of our first BPAC meetings asking parents what they would like to see in a “think, pair, share” exercise. All of the responses from parents were related to academics. Parents explained that they wanted to find more avenues for helping their children with homework. They also wanted to know more about district testing and activities their children can do outside of school to become stronger academically. In Illinois, the beauty of a BPAC done well is that parents have a voice on English Learning programming for their children. They can give suggestions and they can approve future plans for program changes. Districts need to set up a schedule and framework for their meetings that will allow families to do this. Districts also need to empower families to set up a BPAC board and lead the BPAC in collaboration with school staff. They need to identify parent leaders who will help mentor other parents to become more successful. Then, they need to guide parent leaders on how to work with other parents. One of the issues that I noticed for families that I support was babysitting. Our families wanted to be at programs, but they could never find child care. We developed a “story time” four times a year for families. This is where families could come to our schools sit with their children (young non-school aged and school aged) and listen to one of our team members read a story both in English and in the home language. Our staff then worked with families to learn about reading strategies that they could incorporate at home with their children. Parents and children then could work together on a craft with developed by one of our staff members that matched the story. We even lend book bags in English and the native language that are themed for parents to borrow from us so they can continue to read to their kids at home. This program has helped bring parents into the school, engage them with their children, learn about literacy in the home, and develop a relationship with school staff. Now, this is a great idea for families at the elementary grade level. There are other types of family engagement programming that need to be considered at the Middle and High School levels. In a past role as a building administrator of a Middle School on Northwest side of Chicago, I had started a program called “One Book, One School, One Community” or “Un Libro, Una Escuela, Un Communidad.” This program was a year long program where at the beginning of the year teachers, students, and families would nominate novels they wanted to read. We would sort these novels out to assure that there were Spanish (our dominant language) versions of the novel. Then we would have a series of family events that were streamlined to themes in the novel or lessons in family literacy. The first night was a night where parents would learn about reading strategies to implement with their children at home while the middle school children put on a storytime session with their younger brothers and sisters. The third night was a community read aloud where school officials, students, and community leaders read aloud from the novel in English and Spanish for parents to follow along. The third night was a finale. There was a fun fair, the chorus sang songs that were themed with the book. The poms team did an interpretive dance related to the book. There was an art gallery of student paintings interpreting themes of the book. Spoken word based on poetry written about the book was performed. While there also a science or social studies project presented that matched a scientific or civics-related theme in the book. This was a way to consistently engage the whole family in our school. Our district offers a program for students who are newcomers to the country. This is a set of more intensive bilingual services for students who have been in the country for less than two years and also have limited or interrupted schooling. Within the program, we offer a “PEP” session once a month. “PEP” stands for “Parents as Educational Partners”. When we say “parents”, there is a strong difference between parent and family engagement. By parent engagement, we are looking strictly at engaging the guardians of the child as a partner in their learning. Family engagement refers to involving the whole family. In regards to parent engagement, once a month we offer parents a time to come into our classroom and learn with their children about topics such as schooling in America, instructional technology we utilize, social-emotional learning, and STEM. Together, teachers and families can work to really help our English Learners achieve. I come from a school district that is very active on twitter. Many of our families became very attracted to twitter when we started using it. It does have language features on it so families can follow in their native languages. All meeting announcements are made on twitter along with the traditional handout in the backpack. In addition to using twitter for announcements, we also give parents updates about what is happening in our classrooms through twitter. Families love seeing what their children are doing in class during the day through teachers’ tweets. If you are using twitter, please be aware of the children on your school’s “do not photograph” list. Also, at family event, ask parents if they would like to be photographed. Do share with families that photos can end up on twitter. In some cultures, people do not want to be photographed and you need to respect that. In addition to twitter, we are very active on Seesaw. Seesaw is a tool that has a student and family component. Teachers and students can use a QR code in order to scan pictures and videos of work that was completed by the student. The work then gets organized into student accounts and parents can view it through their account. Seesaw is a great tool for communicating progress to families with pictures. In addition to communicating progress to families,it teaches them about schooling in America through the day by day pictures. Children get excited when they see their parents like or comment on their postings. For both tools, we held trainings for parents to teach them how to use them. We even supported parents in creating email addresses during a parent orientation for English Learner parents. We also created handouts in the native language as a “how to” for parents using these tools. Some teachers trained students in using the tool so they can support their parents. Smartphone usage has become universal and parents were able to learn these tools quickly. This really gives them viewing access of their children and the school, but it makes our team accessible through messaging. To sum it up, if we are going to increase parent involvement in our schools, we need to give families more consistency with programs, find creative ways to welcome them into our schools, look for innovative methods to connect with them and work with them collaboratively to nurture the growth of their children. As great as a multicultural family event may be for families, it only happens once a year. Families need more. They need resources. They need support. They need us. They deserve this. Moll, L., Amanti, C., Neff, D., & González, N. (2005). Funds of knowledge for teaching: Using a qualitative approach to connect homes and classrooms. In Funds of Knowledge: Theorizing Practices in Households, Communities, and Classrooms (pp. 71-88). In Confianza’s work with change agents in schools, we use our structured, inquiry-based Action Cycle process to Ask, Analyze, Act and Assess around a specific issue of concern. Our Action Cycle Guide for Implementing Equity, Language & Literacy Practices is now available for purchase. You can also participate in our facilitated Confianza Cafe with a Certified Confianza Coach. See our set of professional learning offering options.